Is Plane Tree Wilt Coming To the UK? Plane Tree Wilt (also known as canker stain disease) is currently rapidly spreading throughout North France and is closing in on Paris. The disease affects ‘plane trees’ which are prominent features of parks and avenues across the world. 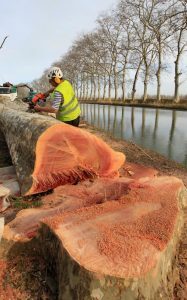 The disease has already ruined miles of historic tree lined areas in France, such as Canal du Midi. 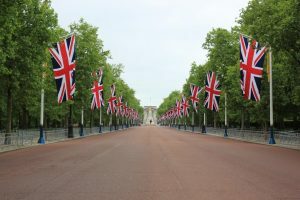 Jago Keen, Chairman of the Arboricultural Association has been reported as saying “If the disease gets to London the impact would be catastrophic”. More than half of London’s trees are plane trees and one of London’s most famous streets, The Mall, is lined by them. Some of the trees lining The Mall are over seventy years old, and replacing them from new to the size they are would take decades. The disease, which is caused by the fungus Ceratocystis platani is currently present in the USA and Europe, and is thought to have originated from North America. It was then transferred to Europe in WW2 when wooden box used by the USA for packaging supplies were infected. The fungus that causes this disease infects the tree through wounds in the bark, branches or stem. Sawdust containing the fungus, contaminated machinery and soil can also start new infections in other trees. Additionally, if the trees roots come into contact with another trees roots the fungus can use that to spread to the other tree. For trees with thin bark, there may be sunken lesions, possibly with orange and purple streaks. In trees with thicker bark, one of the more common symptoms is the appearance of vertical cracks in the bark. When the bark is pared away, leopard like spots (brown to dark violet) appear in the outer wood. One of the first visible symptoms is a sudden wilting of foliage on one branch on the tree. Some trees can also have yellowed leaves further up the tree. The fungi can survive for months or years in affected wood. The best way to control the spread is to remove and burn any effected wood. Currently no chemicals tested have been affective against the fungi. Another effective precaution is to disinfect tools as spores can remain for up to a month on tools. The Forestry Commission has a handy ‘Tree Alert’ page, where you can report sightings of plane tree wilt and other diseases – visit www.forestry.gov.uk/treealert. They also request that you supply photos of the symptoms, full detail locations, contact details and if possible information about the age of the tree (e.g. mature or recent planting).